Made from 100% recycled fibre. 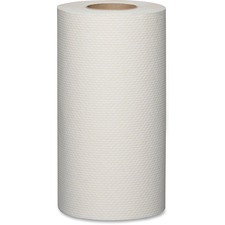 Contains a minimum of 88% post-consumer recycled material.8" x 205&apos;.24 rolls/ctn. Made from 100% recycled fibre. 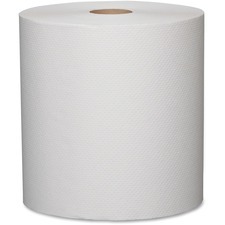 Contains a minimum of 88% post-consumer recycled material.8" x 800&apos;.6 rolls/ctn. Dependability and softness without the compromise. CFIA certified. Embossed crossweave pattern.8" x 800&apos;.6 rolls/ctn. Used in dispensing systems for high volume areas. Contains a minimum of 50% post-consumer recycled content.7-25/32" x 420&apos;.12 rolls/ctn. Used in dispensing systems for high volume areas. Contains a minimum of 50% post-consumer recycled content.7-25/32" x 205&apos;.24 rolls/ctn. 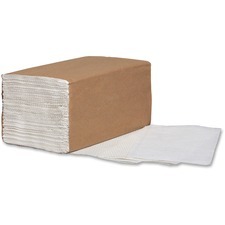 Contains a minimum of 50% post-consumer recycled material.Multifold.9" x 9-7/8".334 per package.12 packages/ctn. Contains a minimum of 88% post-consumer recycled material.Embossed crossweave pattern.9" x 9-1/2".334 per package.12 pkgs/ctn.